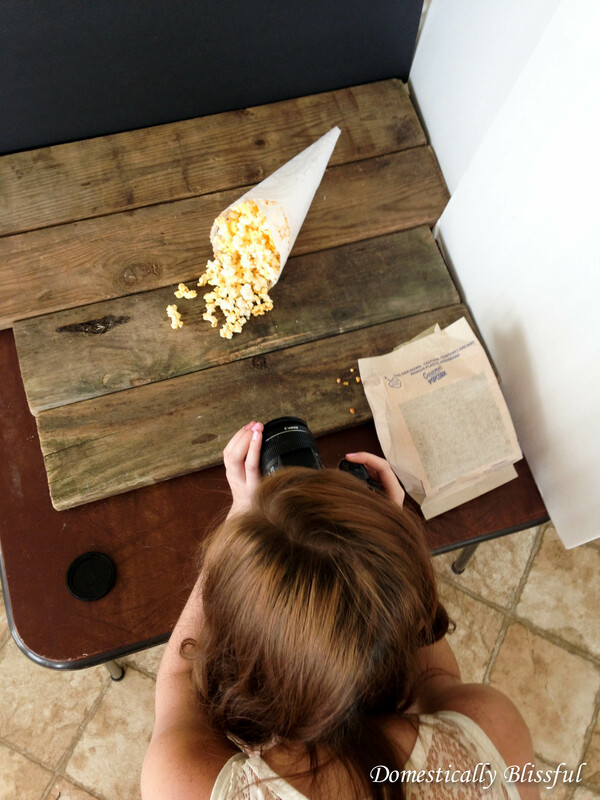 Today I thought I would give you a little behind the scenes look at Domestically Blissful, but first I must say thank you to my wonderful husband for taking these pictures of me taking my blog pictures. Note they were taken on his phone which is why they don’t look like my Ultimate Chocolate Chip Cookies. 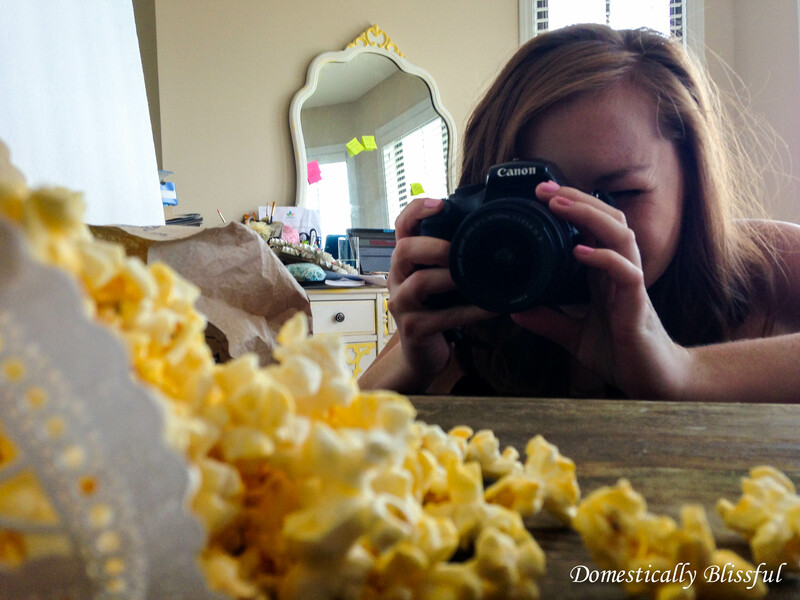 The reason I wanted to do this behind the scenes article is because Domestically Blissful is about to turn 1 year old!!! It’s a full fledged toddler now! I am so excited! 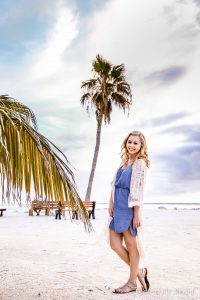 Although I didn’t officially go public with Domestically Blissful until August 2 of last year I had already established a WordPress account and hosting service through Blue Host in June of last year. About two weeks ago I extended my contract with Blue Host for another 3 years of hosting service. Yay! 3 more years in the works! So I wanted to let you know that in about a month and a half I am going to start a 6 week series on Blogging and give you the down low on what I know. Starting on July 23 I will be posting a new article on blogging every wednesday until July 27. I will be writing about what I wish I had known before I started blogging, about how to start a blog, blue host, social media, and much much more! You should know that I usually don’t wear a lacy dress with my hair all done up. I work at home. Which means hair thrown up, comfortable clothes, and all the temptations of a kitchen fully stocked. 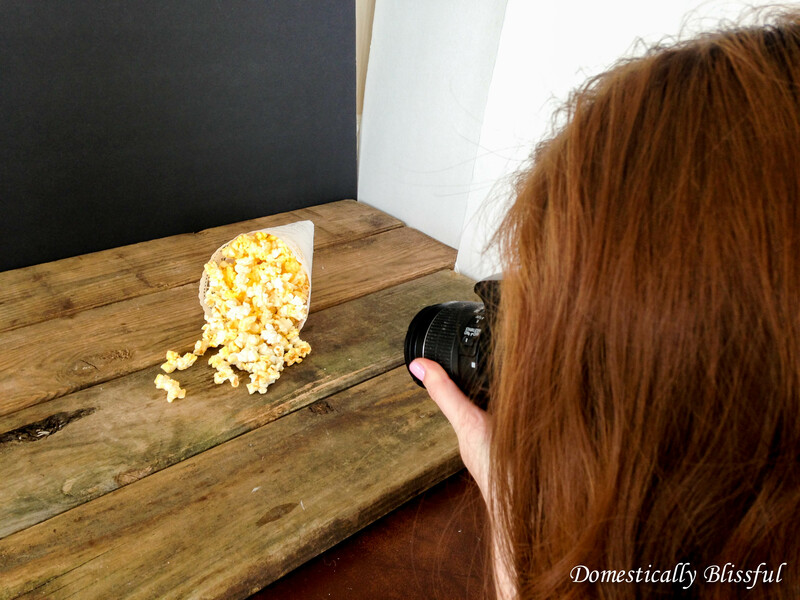 The reason I was all dressed up and taking pictures of popcorn will be revealed on June 20 in my article Pre Wedding Treats in DIY Doily Cones. 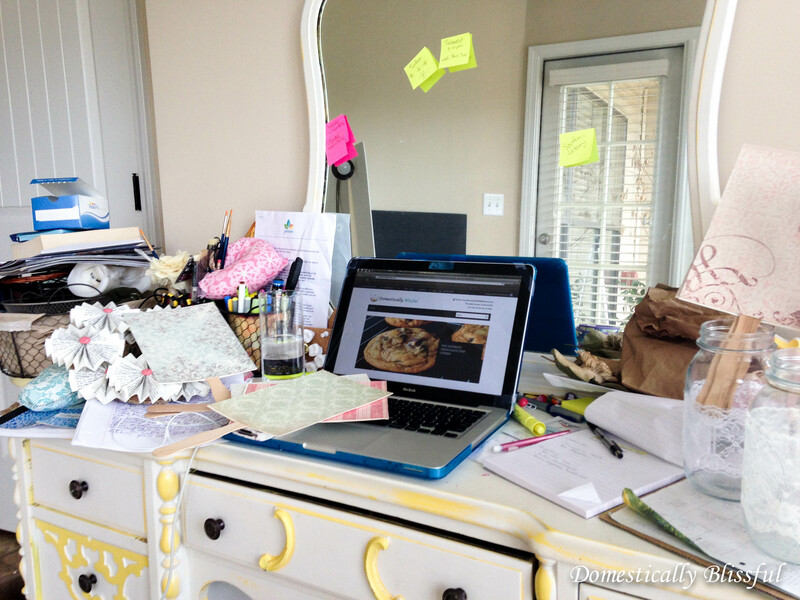 Roger just had to take a picture of my desk… It kind of summarizes the many things and plans going on for DomesticallyBlissful right now! I am in a mad rush to get lots of posts/articles completed before Roger is on his one month summer break. I want to be able to spend as much time with him as possible without neglecting Domestically Blissful and leaving all you without new and exciting posts every week! Because I really like you guys and want to keep bringing new treats and projects to everyone multiple times every week! 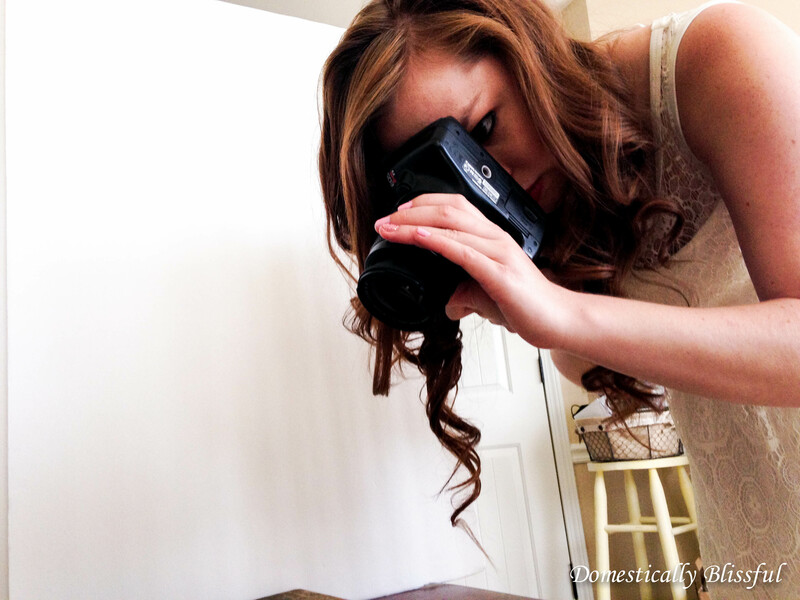 So I hope you enjoyed this minuscule peak at what goes on behind the scenes at Domestically Blissful and that you are as excited as I am about the Blogging series starting on July 23!